Craftique has been providing locally sourced handmade crafts since opening in July, and building a good reputation in town and beyond. With the Christmas season now fast approaching, Sara is getting into festive mood with a special event on 9th December, offering nibbles and tipples (wine and finger food) to shop visitors between 12.00 noon and 2.00pm. If you are looking for that special something for family and friends call in and browse for hand crafted gifts including decorations, pottery, jewellery, a Trove of Little Treasures, unusual Bedouin amulets, framed and unframed wood block prints. For the home you will find Aga and roller towels, napkin sets, cushions, and aprons hand appliquéd by Jean at the spritely age of 95! 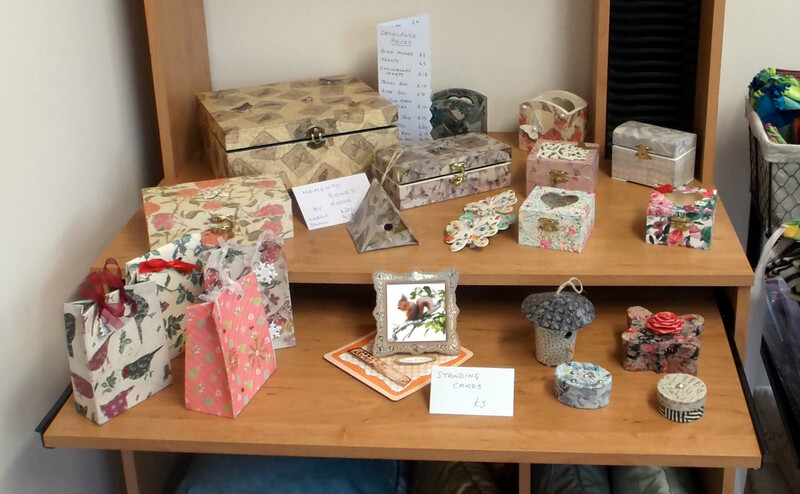 Check out the range of handmade decorations, baby wear/quilts, deco patch memento boxes, vases, and trinket boxes. For those special little ones in your life there will be toys, bears, bunting, and heirloom dolls. For the bigger special ones in your life you can buy bags of all descriptions, woollens, handmade soaps and lotions, hand decorated guest towel sets and face cloths which can be made to your design. Go the extra mile and give family and friends a special handmade Christmas card created by Sara with loving care and detail. She has cards for all occasions. 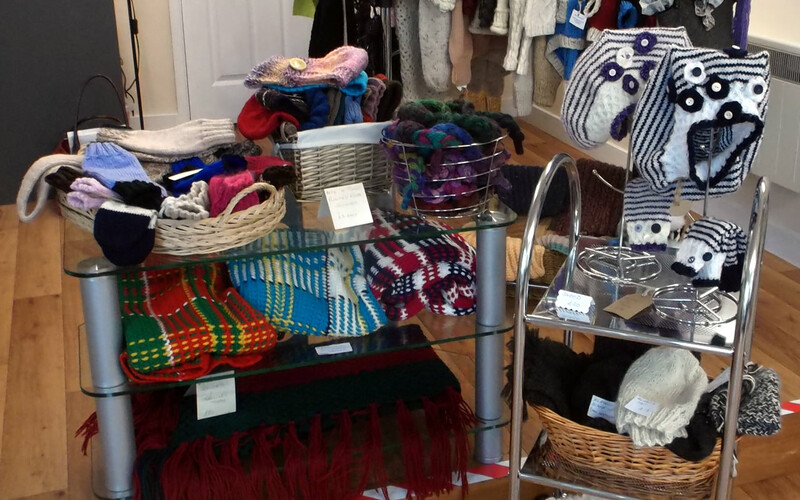 Search deeper and find other surprises including hand knitted boxy and other sweaters, gilets, scarves/cravats, hats and mitts (some in sets), and alpaca knits (limited editions) harvested from pet alpacas (Hector and Manuel) . Accredited alpaca fleeces will also be available for the adventurous at £29 per kilo. Whatever the age or gender there’s something in Craftique for everyone. We were saddened to hear that Hector the alpaca recently passed away. The owner, wishing to remain anonymous, has decided not to continue making alpaca wool products. So when the current stock has been sold there will be no more. On a more positive note, Manuel the alpaca has now been transferred into retirement on an alpaca farm where he can enjoy the company of many other alpacas, most of whom are female. 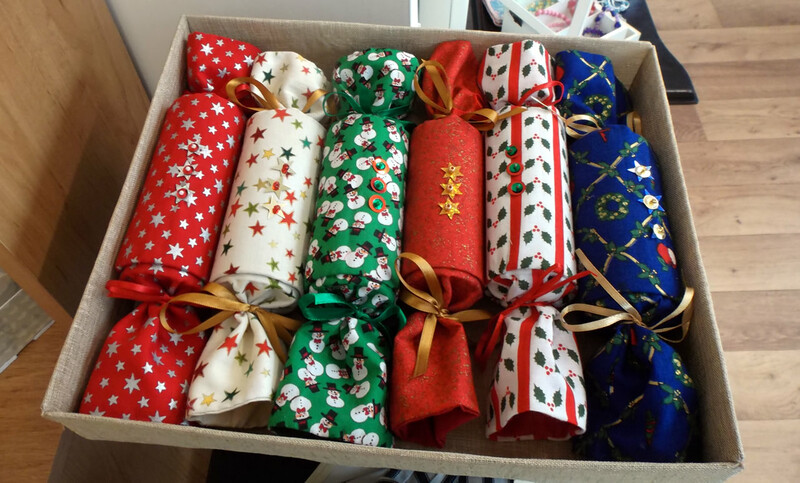 From Tuesday 1st December until Christmas Eve Craftique will be open from 10.00am till 5.00pm. Sara confirmed that Craftique will be supporting the Christmas Extravaganza on Friday 4th December, staying open till 8.00pm. These crackers are unique, in that they are re-usable. As far as I can see, the only downside is the lack of the customary BANG! They are made in two equal sections with an attractive fabric covering. When pulled the two halves simply slide apart revealing the enclosed festive gift. I think this is a great idea, especially if a way can be found to insert one of those thin strips to bring back the BANG!